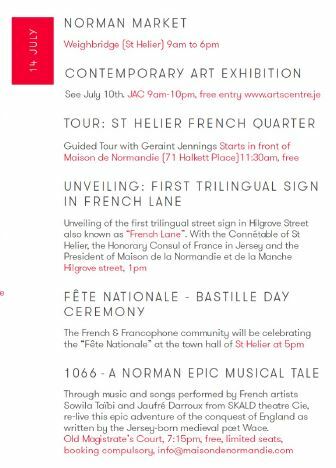 We are pleased to invite you to the many events planned for tomorrow, Friday 14th July in Jersey, as part of Le French Festival. Click on the link below to see the complete PDF programme of the event! To celebrate the special link between Normandy and the Channel Islands, Maison de la Normandie et de la Manche is proud to present this special musical play which will bring back to life the epic tale of the Conquest of England by William, Duke of Normandy, in 1066. French artists Sowila Taïbi and Jaufré Darroux from SKALD Theatre Cie (from Pontorson, Normandy), will perform poems, music and songs (using medieval instruments) completely based on the story written by the jersey-born medieval poet Wace. 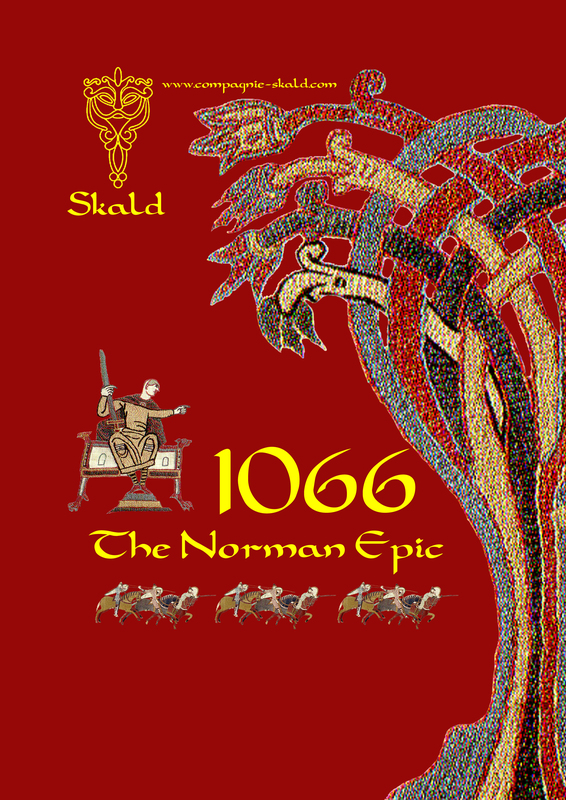 A programme with the translation (in English) of Wace's texts will be given to the public so that you can follow, word by word, this Epic Norman Tale!